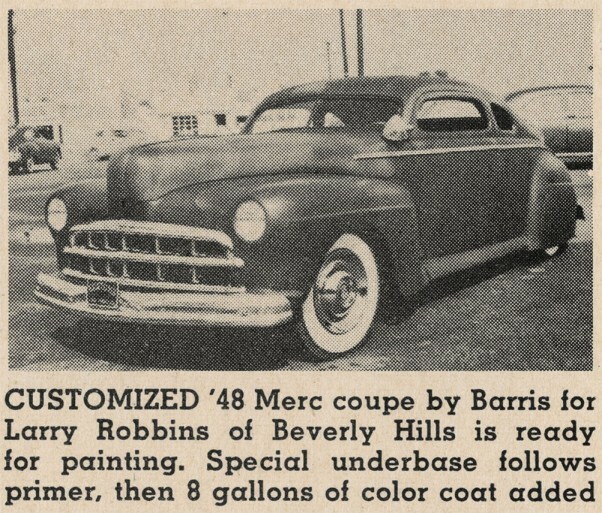 Several Barris books show photos of George Barris working on a 1946-48 Mercury coupe, and of George working on installing a 1949 Cadillac grille, during the first steps of the chop. 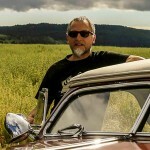 Until Palle Johansen bought the April 1950 issue of Motor Trend Magazine. Of course he did! It had some construction photos of the Jack Stewart 1941 Ford in it. A car he owns and is restoring. This is an issue that wasn’t in the Custom Car Chronicle collection. 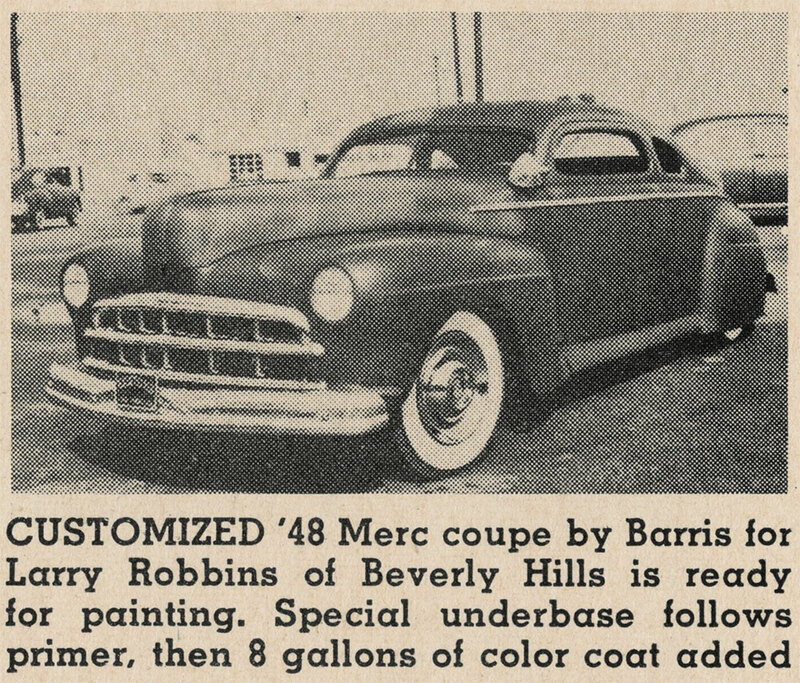 Imagine our surprise when we found a photo of the mysterie 1948 Mercury in it. The car had a name and the photo showed the near finished body work including the chop. 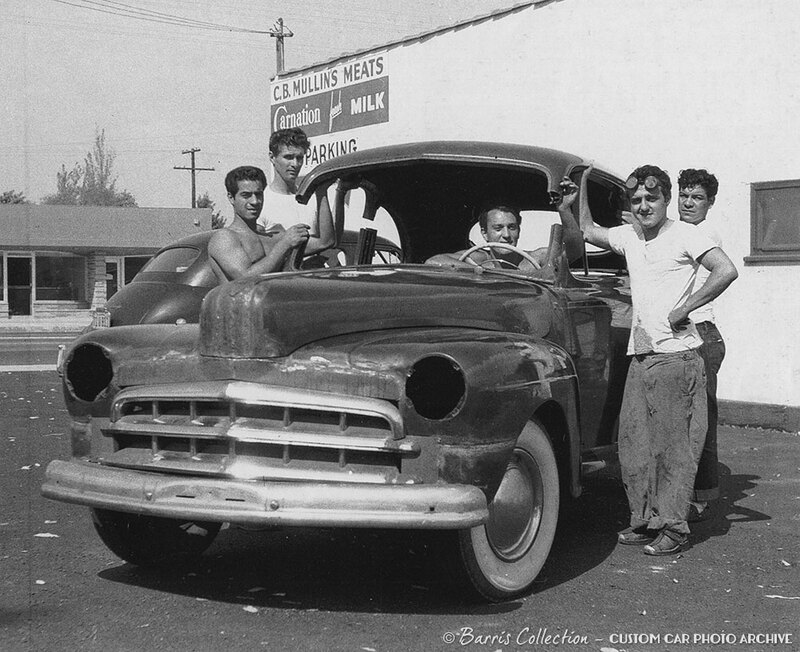 One of the first photos of Larry’s Mercury that was used in the Barris Publications was this one taken outside the Florence Avenue shop in Bell. In the photo are Gene Simmons, Hector, Rob Ruble on the left side and George Barris and Bill De Carr on the right side. 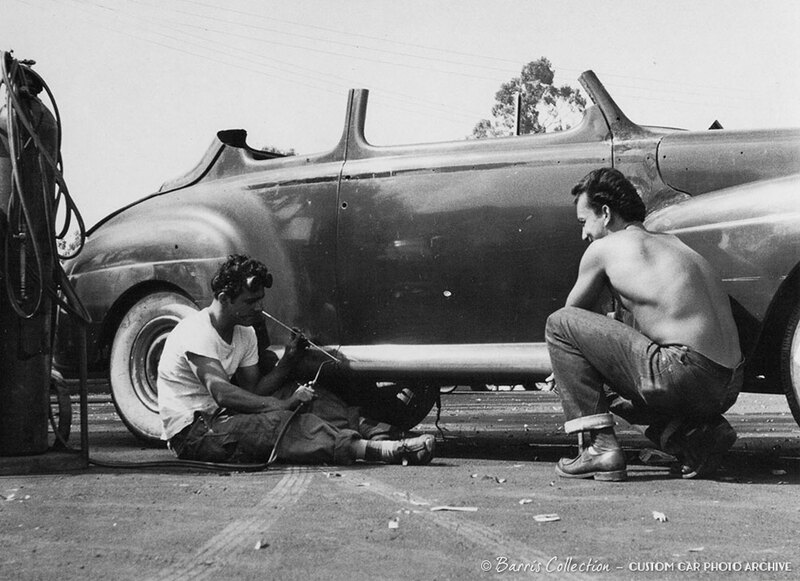 George Barris on the left and another guy working on the rocker panels after the running boards were removed. The work was done outside at the Bell shop. Larry Robbins apparently was the owner of the car. He asked Barris do his magic on it. And WOW… what a great looking 1948 Mercury it became. The 1949 Cadillac grille looks so great in this car. It makes you wonder why you don’t see this used in this type of car. And the chop and long hood is amazing. 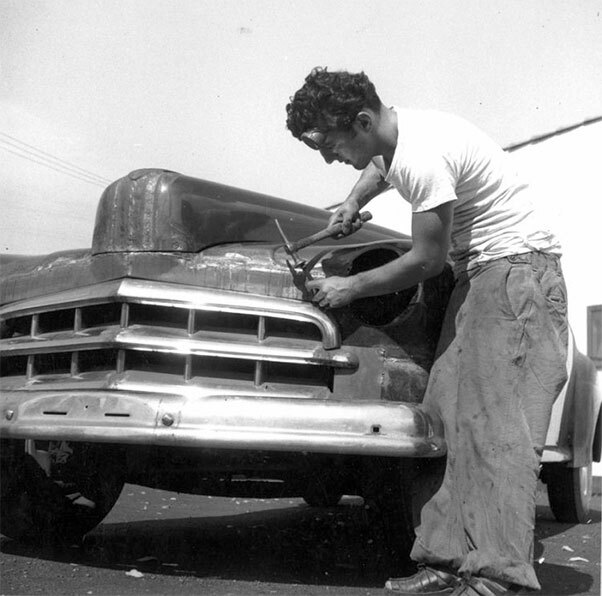 George Barris working on the sheet metal that covers the original grille hole and now surrounds the Cadillac grille. So far, all we know is that the car was most likely finished. And we have a name: Larry Robbins. Remember that name folks! Hopefully we will be able to find more photos of this really great looking early Barris Custom in the future. We’ll keep you posted. These pictures show the Barris gang doing there thing when they were putting out some great customs. Everything said about the Merc is right on and what a great looking car.